We are jumping ahead today, far ahead into the future. We are about to reveal what the Rav always called “25th century technology” and he was right. In future articles we will back track and fill in about the primordial Aleph, about the location and structure of the double walls, about where to find the entrance to them, and about how to follow them directly to Moshiach (the Messiah). We will discuss the “Abraham and Sarah equation,” where to find the shadow of the Aleph on the Earth, and how the Aleph both formed the Magen David and how it shapes the Altar of the Future Holy Temple. Today though, we will learn 25th century technology. We will learn about the energy emanating from the Aleph and how to tap into it at will. We will learn how our physical minds and bodies were designed to help us rise above the limitations of physicality, about how to prepare ourseFuture Holy Temple. 5% of what is really out there, unless of course, we find out yet again that there is even more out there than we presently find. After all, it was not that long ago that the prevailing wisdom limited our universe to the flat earth and the 3000 or so visible lights orbiting it. That referenced 95% is labeled dark, not because it is evil or scary; it is labeled dark because physicists have no idea what it is. 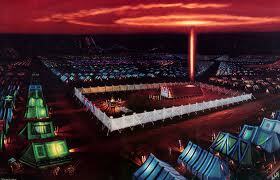 As for being dark, we will use the 2000-year-old Zohar (The Book of Splendor) to shed some light on it. 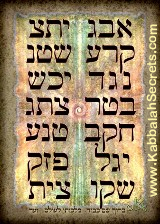 That mysterious energy has been known and utilized by the kabbalists for thousands of years. Furthermore, far from being dark and scary, it is quite beautiful and illuminating. It encompasses much of what we have been sensing all our lives, yet just could not put our fingers on. What we see as visible light is a color spectrum spread around the center of what scientists call the elector-magnetic energy scale, which stretches from the very high frequencies of gamma rays and X-Rays to the very low frequencies of radar, TV, and radio. What they do not know is that the elector-magnetic energy scale is only a portion of a much larger energy spectrum known to kabbalists as the Light. That spectrum also includes gravity, the strong and weak nuclear forces and yet another heretofore unknown type of energy— except to the kabbalists. For simplicity sake we will call this mysterious universal force Synchronic Energy. In a limited sense, it is sometimes referred to as synergy. Synchronic Energy emanates from the same source as all other energies in the universe. Yet because it operates at a higher dimensionality, it is the force that ties and binds them all together. Since all energy emanates through the Aleph, one simplistic 3-D way to visualize the schematic is as a cable plugged into a wall socket, whereby the Aleph is the socket, the various energies are the internal wires within the cable and Synchonic Energy would be the sheath that wraps and tightly binds all the wires together so they fit into the plug. Kabbalistically, the bundled wires are the threads of Zeir Anpin and the sheath is Binah. We have all heard that we only use 10% of our brains. What you have not heard is what the other 90% does; after all, it is not like G-d, or nature to be wasteful. There is a special place within that other 90% that tunes into this energetic frequency range and processes it for us. It is just like the special place that lights up on brain imaging scans when people channel. Yes, there is a frequency range for that as well. It is also just like the place in our brains that can pick up Geo-magnetism that directs carrier pigeons, migrating birds, and Monarch butterflies, who find their way from Canada to a pinpoint in Mexico after 3 generations have come and gone. 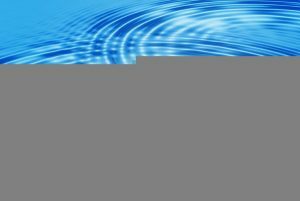 So what is Synchronic Energy? It can pictured the same way gravity can, as a grid drawn on a soft rubber tarp whereby every object on the grid sinks into the rubber and draws down the grid toward it, thus attracting the other objects on the grid. The heavier the object, the bigger the depression it makes and the more objects it attracts. The Synchronic Energy equivalent can be seen in our lives as the coincidences that seem to string together, as the events that appear to fatefully converge onto a single significant moment, as the traffic lights that all line up for you one day and other day appear dead set against you, as meeting the right person in the right time and place. We can all wonder at what the incalculable odds against that are? It is why the number 42 appears in a majority of the NY Times articles I read, and why someone else sees the numbers 1:11 or 11:11 so freakily often whenever they glance at a clock, and why a friend of mine keeps seeing a trail of shiny pennies on the ground. The Rav has said that these are all signs by G-d that He is in the business and that you are on your spiritual path. He knew, though, that there was more to it. This is the energy that kabbalists have tapped into for generations. 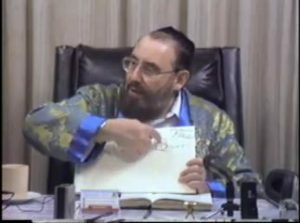 Watch this short clip of a mid-1980’s 5:30 AM class the Rav was giving and you will see how he momentarily pauses to tap into this energy. Watch how he seemingly pulls out of thin air the notion that when Donald Trump built Trump Tower in 1983 his goal (consciously or unconsciously) was to become President of the United States and when challenged he reiterated that it was the Presidency that was his goal, not the money. That was 30 years (!) before it blatantly manifests in our time. Amazing as this is, it is only a small part of the power inherent in this energy. This is the energy responsible for the split-beam effect and quantum entanglement that has so stumped modern physicists. 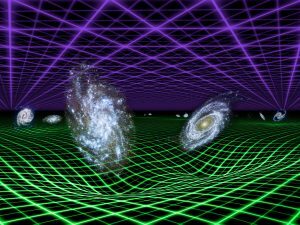 It took physicists over 5700 years to realize what Abraham and his forefathers knew, that there are 10 dimensions to our universe. Now it is time for us all to grasp the concept that the upper three dimensions exist outside the bottom seven and that their higher dimensionality translates to their operating at faster than the speed of light without the burdens of our physical limitations. The key is that imprint on our physicality in a very significant way. Synchronic Energy is the mechanism by which they do that. Overlaying on our 4-dimensional world, they bridge it and connect all the dots. It is by this energy that kabbalists can reach into the future or across the globe—or universe if need be—that changes the course of events instantly. Psychics like Edgar Cayce and Nostradamus have tapped into it as well. Nikola Tesla, Leonardo Da Vinci and Jules Verne too. From where do you think Einstein drew down E=MC2; it was not just a dream, and he knew it—said as much himself. Why did an apple fall from a tree and Newton discovered a formula for gravity? Why do so many inventions come about because of a period of meditation, e.g. as with Nicola Tesla, or due to a seeming accidental event? Why does great changes in the course or history and scientific advancement happen in brief spurts across the spectrum of time? We know G-d is omniscient, omnipotent and omnipresent, but He does not, contrary to what many people think, micro-manage the universe. That would be grossly inefficient. It is that belief that God micro-manages the universe that eventually leads many people to question their beliefs, asking questions like, “Why do bad things happen to good people.” Once we understand how in His infinite wisdom G-d designed the universe to operate on its own, with very simple interactive principles, we will finally grasp that the universe is not working against us; it is working with us. By limiting ourselves to 5% of the universe and 10% of our brains, we are in essence hiding in the bottom of our closets, too scared to even peek out the door, let alone the window, let alone walk outside into the light and play. The system was set up for soulmates to easily find each other amongst the 6 billion plus souls out there, and to splendidly reunite and grow together, yet most of us just keep making all the wrong choices, over and over again. The system was designed not for us to ask, “Why me?” but to understand why things are happened and ask “Why not me?” Once mastered, we can easily understand the whys behind everything; we will comprehend that we have the power within us to change, to change anything, or everything. The system was designed to work for us with very little effort on our parts. It was designed to work with us, with our bodies in mind. In the same way that G-d set everything in motion and let the primordial forces interact on their own, we find that so too the system was designed for us not to micro-manage it. It was designed for us to go with the flow, not re-engineer it. The earlier generations were much more spiritual and in tune with the universe, and they did it long before we had computers and calculators. So how complicated could it really be? Our brains, hearts, and bodies were specifically designed from the DNA up to seamlessly integrate with and understand the energy of the universe—that is the system of which we are an integral part. 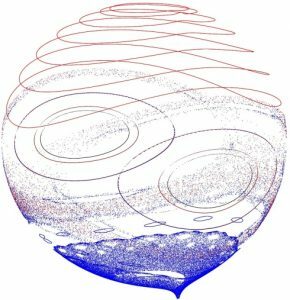 Yes, it took an infinite wisdom to create such a system, but once set in motion, it does not necessitate any tinkering—that is the elegant beauty of it. How and why does this energy work? All energy exists as an enormous sea stretching the length and breadth of the universe and it is never lost or gained. When we encounter any such energy, no matter how long or short its wavelength or how fast or slow its frequency, we process it. It is like when we stand in an ocean of air and breathe in air, our bodies process it and eventually exhale it. The same with treading in an ocean of water, we drink it in, process it, and transpire and pee it out. We do the same with all other types of energy we encounter as well. On the other hand, we were not built to properly process all types of energy, especially those whose doses we received in abnormally high amounts due to our own technological advances and inventions. Processing these technologically induced energy frequencies can have unwanted and unforeseen consequences like the production of free radicals in our bodies that can lead to cancer. This also explains the correlation between the advent of autism and other developmental brain disorders and the invention of the television and its expanding usage, followed by computers and smart phones. There is the atmospheric energy that is out there radiating from the universe. Then there is the ambient energy such as is broadcast as TV, radio, and cell service, and then there is the energy that we consciously choose to watch and listen to, to consciously or unconsciously download through our eyes and ears into our brains. This energy does not get stored there; it gets processed, through multiple layers of trillions of neurons and neural matrices. Sometimes the unintended consequences and byproducts of these processes effect our developing minds, especially so in utero stages. Whether we know it or not, we create effects in that ocean of energy. Every time we tap into any energy we leave a mark in the universe. 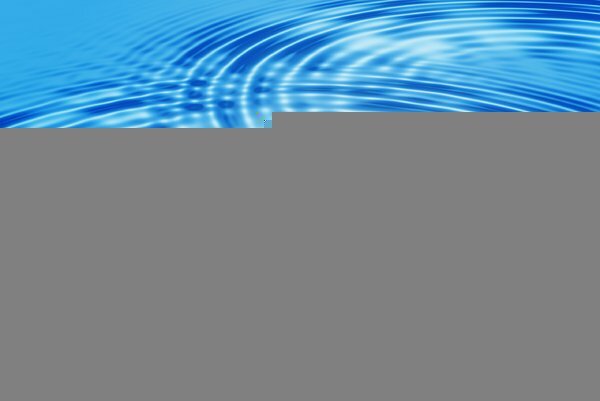 A blip or dent is the smooth flow of that energy, creating ripples as when we throw a stone in standing water, or when we dip a stick into a flowing stream. At first that interruptive influence is also smooth and predicable, but as any physicist or mathematician will tell you, it soon becomes chaotic and uncontrollable. The further away from the source the less noticeable the effects, but like dominoes, once set in motion only an intervening force can alter it. What the kabbalists would add is that our responsibility for that chaos and its subsequent repercussions never vanishes; it is tied to us forever. Another way to visualize it is in the shadows we cast when we walk outside and are bombarded with the stream of photons that we typically call light, or sunlight. As we walk, that shadow walks with us until we blend into the shade, but from the universe’s perspective it never actually disappears; we have left our permanent shadowy imprint on the universe. Whether it is our imprints, or the trailing chaotic ebbs, flows, and swirling eddies of our energetic interruptions, our marks on the universe do not go unnoticed. They are recorded in the fabric of the universe. They interact with everyone and everything else from one end of the universe to another, from one end of eternity to another. Synchronic Energy, being of a higher dimensionality connects all those swirling puddles together. 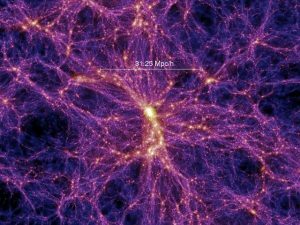 All those infinite energetic marks and interruptions are being instantly recorded on a faster than light scale, meaning the moment it occurs, its effects, however distant in our personal future (4-D time-line), are simultaneously recorded and processed. The net effect of this is that like or similar actions and patterns are connected no matter how distant. Things that would not otherwise—in a more simplistic model—be rationally connected, are and are synced together in spirit, comradery, coincidence, and understanding. Kabbalists sometimes refer to this as similarity of form. This fully explains what the Kabbalists describe as cause and effect and also what others have coined as the Law of Attraction. Our actions, words and thoughts effect everyone and everything, not just ourselves. Everything that is happening in our world is an effect of those actions, words and thoughts, not the cause. If you see it, even on TV, you played a part somehow. How do we take control of ourselves and harness that energy for good, especially as our world seems to turn uglier every day? The same is true of our speech and thoughts. Whenever we speak or even think, we create electro-magnetic neural pathways within the neural matrices of our brains and these in turn imprint on the dimensional layer of Binah (Synchronic Energy). It is no different from if you uploaded your thoughts to the Internet—they would be out there in the universe forever, accessible to anyone anywhere. Now who would be searching on line using key words to find those thoughts? Dismissing only for the moment anyone or any force with nefarious intentions, the answer is anyone of a like mind, similar beliefs and interests. That is the Law of Attraction applied to our thoughts. That is the “mob effect.” That is also why once we have an idea, if we do not act on it someone else might, even if we kept that idea to ourselves. In the spiritual world, it is as if we published the idea on YouTube and never patented in. What we put out there, we attract. G-d does not have to micromanage our universe. We inadvertently show the universe what we really want and it ties us to those desires by matching us with like-minded energy, whether it is the people we encounter, the events we stumble upon, our mazal (fortune) or lack of, or the trouble we get into. How do we cleanse, purify, and polarize our projections to attract what really is best for us and our spiritual growth? How can we use Synchronic Energy to bend reality? To make the green lights line up for us? To make traffic disappear on a crowded highway? To get the right job at the right time? To meet the right person, friend, partner, soulmate, who can help us grow and prosper? To get the answers to our questions? To acquire the right knowledge to make the right choices? To remove all the evil and hatred running rampant over our planet, polluting the entire universe? Do we think this is not creating its own repercussions as we speak? 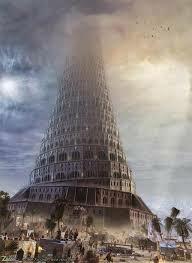 What was the message of the Flood, of The Tower of Babel? Fortunately, the blueprint for Synchronic Energy was encoded into the Torah; we were not set adrift in the universe without a lifeboat or guidebook. We just forgot it was there all along and how to read it. The giant eusocial community of cells collectively known as our bodies is made of up trillions of DNA strands, and once activated they act in concert as a single phase-array antennae to harness and align with all these energy waves and frequencies. Moreover, when we bind ourselves with other like-minded individuals, such as happens in a minyan, in joint prayer, in common cause, in love, etc. the phase-array antennae grows exponentially larger. 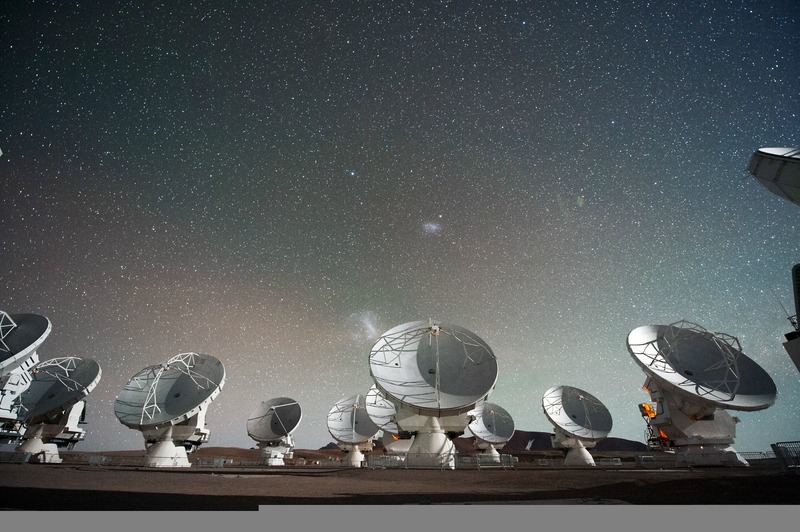 These are the type of antennae that astronomers use to monitor the on-goings of the far reaches of the universe and the events that happened billions of years back in time. Imagine what we can do with them when we actually know what we are doing! In order to proactively tap into and harness this Synchronic Energy, we need to prepare certain regions of our brains which were designed specifically for this purpose, but have been dormant since early childhood. They need to be unlocked. The way to do this is by using the keys given to us at the dawn of creation, those that were built into the Torah (Bible) from its very first letter, even before. These are the Names of G-d that the Torah was built around and designed upon. This is why the Torah has remained unchanged and unaltered these thousands of years, so that it would flawlessly integrate with this energy. It is a living document that resonates with pulsing energy within innumerable points of contact for us to latch onto and download from. Every time we connect to it properly that flawless energy flows through us as well. Even so, in order for us to consciously access this energy and take control of our lives we have to directly insert the keys into our brains. What the Kabbalists have always known was how to insert these Names into their minds. For example, sometimes, when a tzaddik would hand someone a parchment with a Name written upon it, or when one asked them a question, they would hold his hand, looked into his eyes and say very little. Much of which may not have made sense, but they were inserting those keys into the mind of the one who sought direction. Today we have the ability to insert them ourselves. 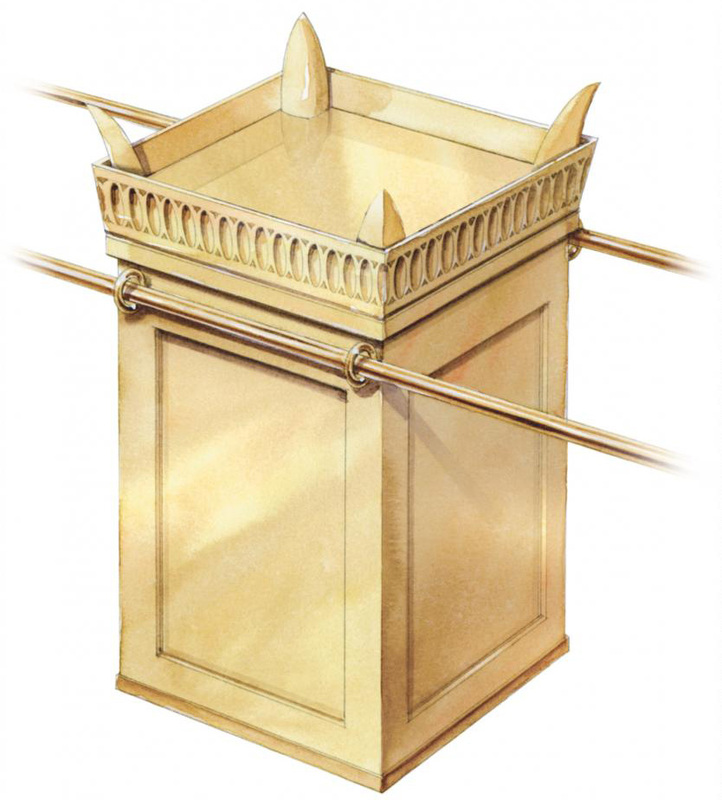 The model for how it all works is placed in the center of the Torah, in the design of the Tabernacle/Mishkan; it is analogous to our brains and minds. That is why the Torah spends so many chapters describing its construction and that of all its various components and placement within it. That is why we are commanded to read and reread about it year after year, thousands of years after it no longer physically exists. Never mind the 100 or so commandments dedicated to the offerings and sacrifices that we are to do in it, even though that is clearly impossible. Yes, we make the offerings through specific prayers we do daily and throughout the year, but there is definitely a missing component. When we prayed with the Rav, he would insist we announce for each prayer what dimension of the sefirot we were at within which of the 4 levels (worlds). 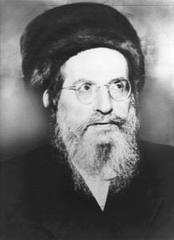 Rav Berg knew each offering and each prayer had to be processed in a certain way and had to be guided into the right slot in order to be accepted. The announcements were crucial for the Names we were reading and the technology embedded in the specific prayers to be inserted in their appropriate slots and thus activate the right gates and portals for us. 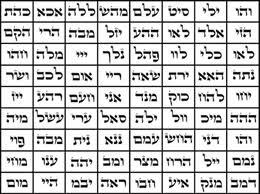 The various Names of G-d all form Matrices or arrays, some like the 42-Letter Name are 7 lines or 6 columns, or the 72 Names (Triplets) that forms a matrix tablet of 8 by 9, and some like the Tetragrammaton (יהוה) form 4 by 1 matrix, which expands under various schematics and spelling outs. In those wonderful times praying alongside the Rav, he had a large tablet with many different Names on it and we all had smaller versions clipped onto our prayer books. He would consciously make additional connection to particular Names at a particular time. That is what we are to do today. We must consciously look at the various Names of G-d matrices and the letters that constitute them and consciously visualize them entering our brains/minds as a whole entity, a key card if you will, slipping into a slot. Certain Names, such as the 42-Letter Name matrix and the 72-Name Matrix should be clicked into place by silently reciting the Baruch Shem (Baruch Shem Kavod L’Olam Vaed). This will lock them down. The same is true for the Shema matrix. Yes, that famous 4-paragraph prayer too is a 3-D matrix. Its 1000 letters form a 10 by 10 by 10 cube (103), divided into regions of 42, 72, 50 and 72 words and the technology therein warrants an entire book unto itself, which I admit Rav Brandwein of blessed memory asked me to publish many years ago and I have yet to fulfill. 10 levels of 10 x 10 arrays, representing the 10 dimensions of the Tree-of-life, divided in the 4 worlds and the 4 major energy levels of Chochma, Binah, Zeir Anpin and Malchut, represented by the 4 letters of the Tetragrammaton(יהוה), each connected to other matrices (42 and 72 etc). Nevertheless, we need only recite and/or read it; our brains are designed to organize the words and letters into the proper matrix for us. When we pray we are reading the letters and reciting the words, processing them through various neural networks in our brains. Why not process them though the right ones? By injecting consciousness and intention we can direct them to the launching pads rather than the storage hangars. As you insert the Names into your head, you can picture the Names embossed or engraved on a sapphire key card if that helps (though not necessary). Each Name or Name matrix gets inserted into a different slot in a different place in your brain/mind. It does not matter where in your brain you choose to insert them—that will be sorted out for you automatically. What is important is that you visualize it. We only do this visually because almost all the Names, with the notable exception of the lower Shem Mem-Bet (the 42-Letter Ana B’koach) should never be recited out-loud and because as we all know, the eyes are the windows to our souls and minds. The system is designed this way, to properly interact with our human mechanisms. To the Names, our eyes are like bar-code scanners. The thought and inspiration that we are to have in our minds and hearts when insert the Names is that of love. As it says in Jeremiah 23:29, “The flame of the candle we are commanded to light with love.” That goes for the Shabbat, Holy Days, Chanukah and Yahrtzeit candles as well. If the Names are the coded chip embedded in the key card, the card itself has to be made of love—the purer, more unconditional the better. There is a brain in our heads and another smaller one in our hearts. In order for the full process to completely engage, we must connect the upper worlds (these higher energy dimensions) to the brains in our heads through the insertion of the Names and then draw down that energy into our hearts. Rav Abulafia of blessed memory, tells us that the Baruch Shem (Baruch Shem Kavod L’Olam Vaed) is the most powerful Name unto itself. When we get to the word Kavod we should have in mind that it is the same numerical value of the Hebrew word for heart (Lev), and we are drawing down the energy of from the upper worlds (Binah) into our bodies (Zeir Anpin) and anchoring them in our hearts (Malchut) thus igniting Da’at/knowledge and instilling love into our actions and processes. This ignites the fire. Each Name activates a separate region of our brains and minds, opening us up to receive the appropriate energy frequencies on a timely basis, and to comprehend what is truly happening in our lives and world. With practice we are able to tune in at will and bend reality in a positive way as needed. Like anything else, it is like a muscle that needs to be trained and exercised. When enough Names are inserted properly and activated, we will see our mind as a giant roofless room open to the sky—to the universe—and be able to receive and open files at will. The two most important Names to insert are the 42-Letter Name and the 72-Name Matrices. Like any locked building we might frequent, we must constantly reinsert the keycards every time we enter or move throughout the locked corridors to different rooms or areas—in this case, each room has its own card. It does not take a prolonged meditation, just a quick but mindful, reverent swipe with the consciousness of love and purpose. It is of utmost importance to be NOT perfunctory about the utter holiness we encounter with these “holy” Names. 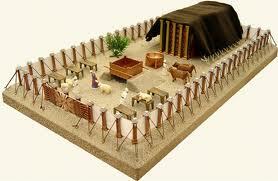 We are commanded to “be holy for I am holy” (Leviticus 11:45). By “purpose,” we mean focus, not a selfish agenda of what we want to receive. The idea is to be open to what the Almighty wants for us. The desire to be in harmony with His plan for us is a prerequisite key for success with this process. We can be sure that what He wants for us is for our correction, character growth, true happiness and empowerment to do good. Unconditional love, no more, no less. Once tapped into the energy stream, we want to swim with the flow He has created for us, and not search for eddies. 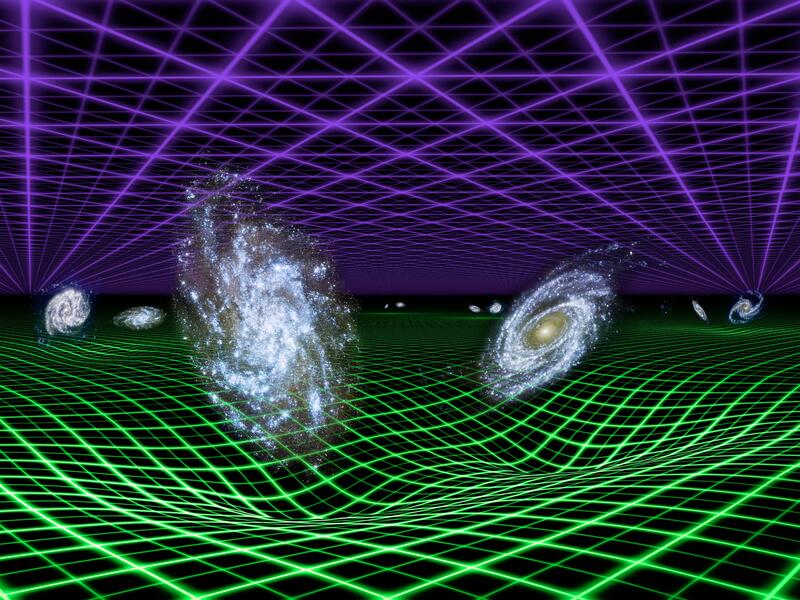 We need to let the flow of these forces that govern space, time and motion in the universe do the work for us. Unconditional love is actually the energy source (Chochma) that guides, empowers and pervades Synchronic Energy (Binah). Because Synchronic Energy (Binah) encompasses everything it is an all knowing force and thus everything we do and think down below in our world so to speak simultaneously activates a reaction above in Binah that then guides all that follows back in our world (in our reality). Our intention becomes the seed planted in the universe which then controls the growth process. Therefore, the more perfect and the stronger our intention, the better and more impactful our outcome. There are even regions in our brains that we can activate to empower our bodies to heal themselves, utilizing certain combinations of Names, in particular specific ones of the 72 Name matrix. Think of the diseased cells in a sick or malfunctioning body as unruly school children—all they need is a skilled teacher to take charge of them and they will cut out the nonsense and start learning again. All these cells need is for our brains to take charge and tell them to get in line (alignment). In order to do that our brains need to be activated to the higher consciousness. This is one important way how the tsaddikim performed their miracles of healing. Once the 42-Letter Name matrix is installed and engaged in our brain, it occupies the space and purpose that the Altar (Mizbeach) occupied in the Tabernacle (Mishkan). It was upon the Altar that the offerings and sacrifices were received and burned, linking Heaven and Earth, G-d and Man through the column of smoke that rose straight up like an arrow. As we have written previously, the 42-Letter Name matrix is encoded on every level to act as the Incense, creating a beam of smoke that shoots straight up to Heaven (the upper sefirot). The following explanation is a little more complex and is only to emphasize the relevance and importance the Alter/42-Letter Name relationship as the central component in this transformational technology. First off, we need to note that numbers are symbols or specific tags representing unique energies. There is a reason water freezes at precisely 32 degrees and not 33 or 32.5 degrees. There is a reason humans adopted a base 10 system of mathematics thousands of years ago even though modern scientists only discovered the 10 dimensions three decades ago. While we can see and feel the difference between water and ice, from our simple perspective we cannot yet grasp the differences in the energies at each numerical value; nevertheless, we can add, multiple, divide and rearrange numbers, which the kabbalists including Abraham the Patriarch did in his book, the Sefer Yetzirah, equating them with specific values for the Hebrew letters. The Altar (Mizbeach/מזבח) in standard gematria has a numerical value or energetic equivalent to the number 57 and alphabetically permutes to (זח) and (מב) or numerically 42 and 78, thus considering the concept of Synchronic Energy it is not coincidental that the Altar itself, at the core of the Tabernacle and our minds is tuned to 42 and 5778, the year prophesied by Rav Ashlag and tzaddikim for the advent of Moshiach consciousness and the geulah (the final redemption), which Rav Brandwein stated will come about through the understanding of the 42-Letter Name. Most of us have sensed for a long time that there is no such thing as a mere coincidence, and the kabbalists have insisted on that for millennia, we can now understand why. Another such very relevant coincidence is found in the integral relationship between the Incense (קטרת) and the Altar (Mizbeach/מזבח) and the 42-Letter Name. In standard gematria ketoret, the Incense (קטרת), has the numerical/energetic equivalent of the Upper 42-Letter Name, and in the common gematria cipher atbash, whereby the Hebrew alphabet is reversed it becomes the 57 as the Altar (Mizbeach/מזבח) plus the Aleph, connecting it to the primordial Aleph discussed. Moreover when we add both the Altar (Mizbeach/מזבח) and the Incense (קטרת) in atbash plus their kolel for their 8 letters we get the value 506, which is not only the numerical value of the Hebrew word for “Unconditional Love” and the complete numerical value of “Moshiach Ben David” but also the value of the 42-Letter Name Matrix’ first line and the number of times the 14 triplets of the 42-Letter Name are found in the Torah. It is also the sum of the squares from 1 to 11, (112+102+92+82+72+62+52+32+22+12), which is not only a pyramidal matrix with a 1 x 1 square at the top and 11 x 11 square at the bottom, but it also cannot be coincidental given that the Incense is comprised of 11 spices. Furthermore, the 5th of those 14 triplets (נגד) is found within the atbash transformation of ketoret, the Incense (קטרת). As the Zohar explains, the dimension of Binah is the heart and Chochma is the brain, and the column of smoke is the Central Column of the Tree of Life. When the brain is activated, the heart becomes engaged and with the column in place, Da’at (knowledge) flows through it. This is the secret of the heart that understands knowledge (Da’at). 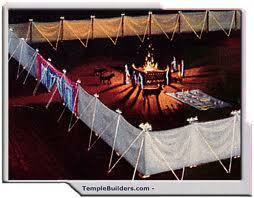 The words of the Torah is the fire that burns the incense and sets the smoke in motion. The prayers of the daily offerings kindle that fire, and “The fire shall ever be burning upon the Altar; it shall never go out.” (Vayikra 6:6). 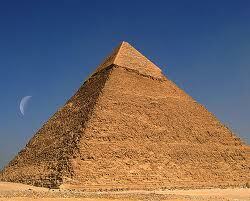 The more we recite and insert the Ana B’koach (42-Letter Name), the more we stoke the fires of elevation. The Arizal told us 400 year ago that no prayer can be elevated with the 42-Letter Name, and the 2000-year-old Zohar explains the process that occurs when we recite the various offerings and sacrifices, drawing them though our eyes and senses into our minds and onto the Altar of the 42-Letter Name Matrix. How this works on a deeper Kabbalistic note is that the upper world, the dimension to which Synchronic Energy exists, called Binah, is represented by the Name of G-d, Ehyeh (אהיה); and our brains/minds are operating at the level of Zeir Anpin, represented by the unpronounceable Name of G-d (יהו), while the final hei (ה) of that Name represents the worldly realm of Malchut, occupied by our heart. When we make our offerings and place them upon the Altar of 42, we are uniting Binah with Zeir Anpin, (יהו) with Ehyeh (אהיה), each of which have the numerical value of 21, thus united together is 42. At this point, the system is activated and once we inject the consciousness of love into out offering (prayers), the central column of the Tree-of-Life is complete from Heart (ה) to Brain (יהו) to Heaven (אהיה) and Zeir Anpin unites with Malchut to form the complete Tetragrammaton (יהוה), which then expands to fully embrace the central column Zeir Anpin (יוד‐הא‐ואו‐הא). And then very much like the Chanukah candles which we light with love to bring about the light of Moshiach, the dimension of Binah (אהיה) binds with Zeir Anpin (יוד‐הא‐ואו‐הא) and our bodies, minds and soul become in tune with the Synchronic Energy of the universe. In so doing, the Zohar explains, we are cleansing the 3 levels of our souls (Nefesh, Ruach and Neshemah) and purifying our hearts. Why this 25th century Knowledge now? Most of us have sensed that something is crazy wrong in the world. Even if you have not been following our blog these many years, nor have been privy to the prophecies and convergences about the upcoming geulah (final redemption), you must feel the palpable chaos that is swirling around the world. The maelstrom of evil, perversity and moral insanity flooding into the world is touching all. It is only a prelude to the torment that is soon to follow. Now, more than at any time in history, it is imperative we download the Names associated with the unconditional love app that we have been writing about in our last few articles. There is a place in our brains, lying dormant, that is just waiting for us to insert the keycards, download the app and activate the most powerful force in the universe, the only one that can overcome the burgeoning chaos. What is going on in America is the polarization by evil, of the right and the left. It is the polarization of good and evil, on the right and on the left. In less than six months’ time, the brewing hatred and dissatisfaction in the Middle East converged on ISIS, which became an attractive force of serious evil from all over the world. In less than six months’ time, an equal and opposite reaction occurred in the US and the seething hatred and dissatisfaction here has given way to competing waves of violence and calls for anarchy. The calm before the storm is gone; we are now within the growing storm. Witness the 20-30 inches of rain and snow in Manhattan that has fallen in a single day, multiple times this year. Unusual, often horrific unexpected events are intensifying everywhere; the energy is thickening. Waves of fear riding on the sinister tides are rising around the world. It will only get worse as the world moves toward the inevitable conclusion of this age. It will only get more imperative that we use the 25th century technology to move us beyond our current limitations; our current 21st century technology without enlightenment will only dig us in deeper. Given the ability to tap into this 25th century technology, we cannot change the past, but we can change the future, and thus the present. Seeing that time, space, and motion occur at once and can be folded up and accessed simultaneous in our minds, all we have to do is choose the future we want, and the Synchronic (Binah) Energy will line everything up between now and then. The trick is one has to believe it first. Who may ascend into the mount of the L-rd? Deep and beautiful article, thank you so much for such a nice sharing! Congrats and many thanks for this research article on energetic synchronization via Talmud-Torah and Kabbalah.This is future science in the making! Thanks Lea. I appreciate that. I have enjoyed your enlightened teachings. I have learned that God is or ultimate end. To understand the end. . . yes we must look to the beginning! For we are God’s and we are His original thought, we are OF THE ALEPH. The study of black wholes have caused scientist to find energy being derived from the center of black holes. . .the black hole is not void but in fact, the center of the actual creation of stars(novas). Scientist have learned that there is a self re-organization of all matter. 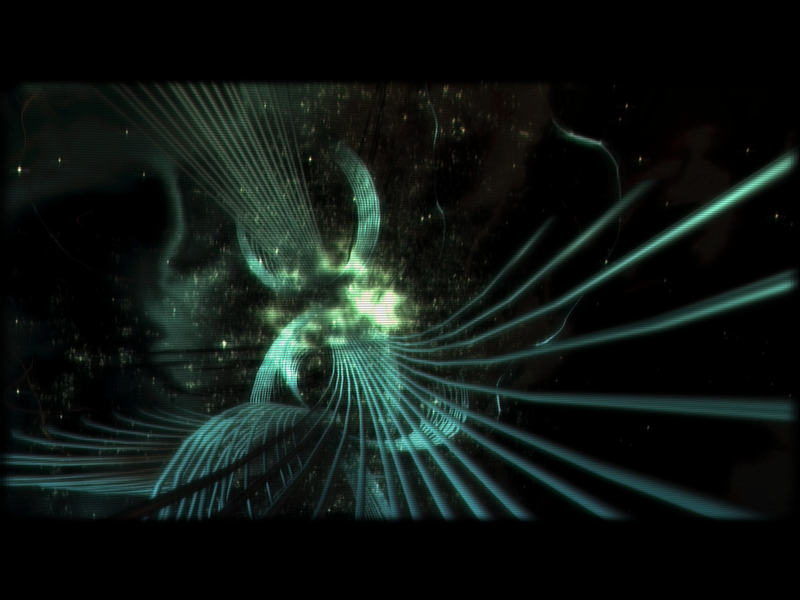 A unification, revaluation and rebirth. Energy is never lost. . .in God’s ultimate ALEPH is only perfection. ALL POWER. . .THE ULTIMATE FREE ENERGY! Previous Previous post: Ebola; Worse than You think, but We Can Do Something About it.